This page highlights changes in software functionality from what is mentioned in the last edition of this book (currently the 2nd edition). If there are any errors in printing, those go here as well. With the release of SketchUp 2018, Trimble decided to discontinue development on SketchUp Make, which had been the free version of SketchUp Pro. 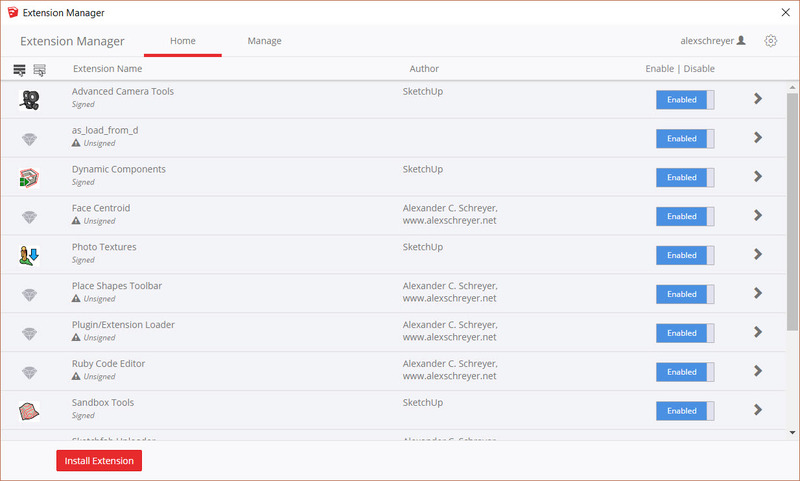 The free version of SketchUp going forward will be the online app that can be found at app.sketchup.com. For the time being, SketchUp Make 2017 (the latest released version) will remain available at the regular download location and can continue to be used. The user interface is different from SketchUp Pro. 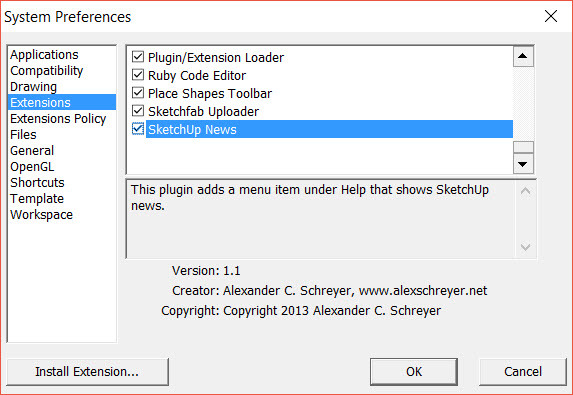 Extensions are not implemented in the web-based SketchUp app and can’t be used. Editing materials is only available in a subscription based “SketchUp Shop” version, which also adds solid tools and import/export capabilities. LayOut remains only available as part of the SketchUp Pro package. 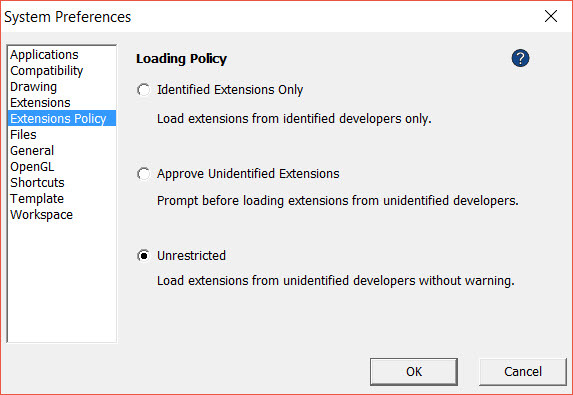 In this dialog, you can manage extensions (enable, disable, uninstall, update), find out whether they have been signed and even install an extension from an RBZ file using the Install Extension button. You can also set your extension signing preferences from the dialog’s settings, too.